FoundMissing is a new, up and coming Toronto-based company whose focus is to build a digital community and platform for men to shop, share and review footwear brands on a large scale that caters to a massive demographic. 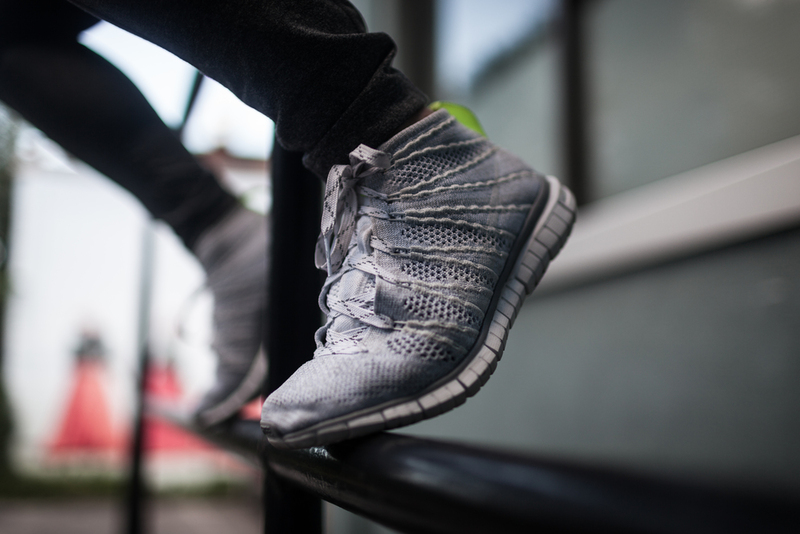 Curated by 23-year-old founder, David Bremang, his mission is to have FoundMissing become an authoritative and trusted voice that essentially fills the void in the urban, athletic, casual,and luxury footwear community driven by an online boutique and reliable editorial markets. FoundMissing looks to improve shopping online by introducing interactions with one another in digital form, whilst building an online community by informing and educating one another with reviews and product knowledge. This ultimately ensures you're making the right purchases that's best suitable for your lifestyle needs, whilst connecting with likeminded individuals. Today (August 21), marks the official website and app launch event entitled “Origin”. The event takes place from 6-11 p.m. at Hermann & Audrey (1506 Dundas Street West). This event allows guests to have full access to their database, and win prize giveaways! Guests will also gain premiere access to the website, have a chance to download the official mobile app, and search through an extensive database of various men’s footwear brands. Furthermore, the event is in partnership with The Remix Project, a charity and arts incubator program developed to benefit unprivileged youth in underserved communities, to have a platform where they can utilize their creativity and gain experience within their fields of interest. By attending "The Origin", guests will be assisting in raising funds for The Remix Project’s annual program, while jamming out to a live DJ set presented by DJ HustleGRL. Although FoundMissing is mainly catered to the male dominant audience, females who are just as in tuned with today's urban lifestyle benefit from having an appreciation for men's style as well. Which in turn, allows them to have the upper hand and the advantage with having the best of both worlds when it comes to overall style. Incorporating men's fashion and lifestyle brands into their own wardrobes has become the norm. Females are now drawing inspiration from men's fashion and it's quite liberating to witness it happen so rapidly. For instance, jerseys, loose fit jeans, hats and sneakers are becoming the norm for females to rock. Owning similar items as their boyfriend, brother, or guy friend comes as no surprise. Now guys want to know where the females are shopping! Boy, how the tables have certainly turned! Collaborating (and styling) on a shoot with FoundMissing founder, David Bremang showcases how fashion and style is becoming nearly unisex. For instance, Stüssy's "Nylon Stock Jacket" fits fairly tailored and comes in a range of sizes which caters to both male and female. The colorways are also very versatile for either gender. 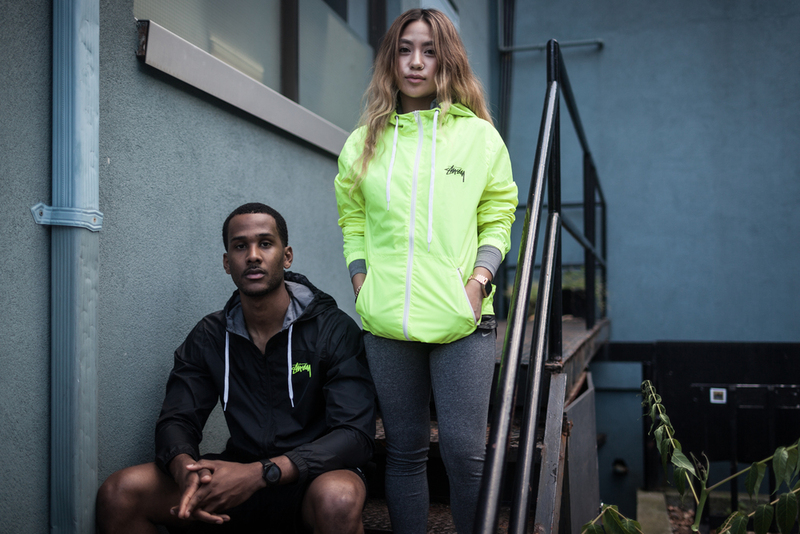 Pairing the jackets with similar Nike FlyKnit colorways in neon and grey, showcases how athletic lifestyle brands are designing male and female versions to one of their most comfortable and well respected sneaker. Aside from females and males rocking similar streetwear brands and styles, females are also capable of pulling off male dress shirts in various ways. As a lover of men's fashion and a lover of supporting local designers and creators, Sean Brown of NEEDS&WANTS is definitely one of them. Sporting his latest Linen Fishtail button-up in ivory instantly gave me an extra pep in my step. I kid you not! The way the fishtail portion fell effortlessly behind me, tickling the back of my knee each time I walked and flowing behind me with the breeze and momentum of each step felt liberating and empowering. There's no better feeling than rocking a men's shirt and owning it as a female. FoundMissing is without a doubt, an outlet for today's modern man to discover, share, and purchase men’s footwear brands online with an upgraded experience to remember. Females can most certainly appreciate the aesthetics of the service on the sidelines. Don't worry ladies, we can also utilize the site to read reviews and stay in the loop of what's hot and use it as motivation and inspiration for our next outfit. We still rule.